a broadcast quality live production switcher designed for both broadcast and professional AV users. ATEM Television Studio HD features 8 inputs, multi view, aux, and program outputs, analog audio inputs, built in talkback, two flash based media players, incredible creative transitions, a DVE for effects and more. ATEM Television Studio HD is available now for 905€ from Blackmagic Design Resellers worldwide. a miniaturized professional deck that records and plays back broadcast quality 10-bit video using commonly available SD and UHS-II cards. 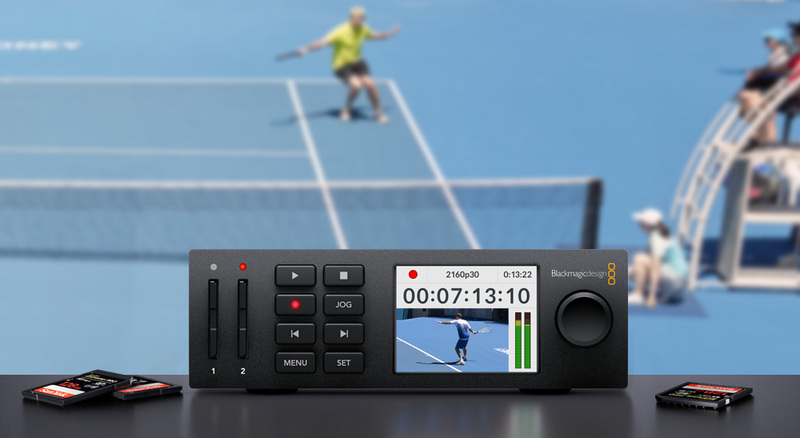 HyperDeck Studio Mini features 6G-SDI for working with all SD, HD and Ultra HD formats up to 2160p30. HyperDeck Studio Mini is unique because it includes HDMI for monitoring, a built in sync generator and ethernet for uploading media via FTP so it also becomes an ideal solution for digital signage tasks. 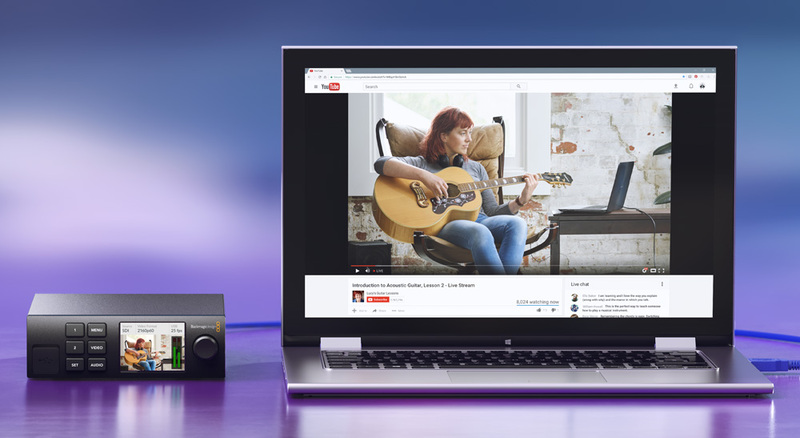 which allows customers to use their professional SDI and HDMI video sources with streaming software and services such as YouTube Live, Facebook Live, and more. With the internal battery removed, allowing the company to reduce the retail price of the camera. The HD model has been reduced 200€ and is now 1435€. The Ultra HD Blackmagic Studio Camera 4K has been reduced 800€ to only 1609€. Both models are available now from Blackmagic Design resellers worldwide.